MAY 16, 2018 - CHARLESTON, SC - 11 teams representing nine countries will start the 2018 Atlantic Cup at the Charleston Maritime Center, May 26. With over 1,000nm of ocean racing, the Atlantic Cup is the longest offshore race in the Western Atlantic and is also the United States’ only short-handed offshore race dedicated to the Class40. Since its inception, the Atlantic Cup has been the U.S.’ most environmentally responsible sailing race and is the first sports event in the U.S. to be ISO 20121 compliant. In addition, 1200+ school children are scheduled to visit the boats, meet the teams and learn about ocean health during the three stop-overs. The 2018 Atlantic Cup will start in Charleston, S.C., May 26, stop in New York City (teams will be based at Liberty Landing Marina in New Jersey) May 29 -June 2 and culminate in Portland, Maine, June 4-10. The race is free and open to the public. For more information on the Atlantic Cup please visit http://www.atlanticcup.org/. Manuka Sports Event Management Co-Founder and Atlantic Cup Race Director, Hugh Piggin, said, “We couldn't be more excited to bring such a high quality fleet of shorthanded sailors to compete in what is America's toughest ocean race! With seasoned European programs, veteran US entries and new teams coming up, it really does prove that shorthanded sailing in the United States is in one of it's strongest positions to date. It'll be fascinating to see how these teams deal with the weather and navigational challenges this unique race course throws at them." Media is invited to cover the Atlantic Cup. Interviews with sailors and race organizers, b-roll requests and onsite coverage can be arranged by contacting Colin Bradley at [email protected] (860) 490-2710. Live shot requests must be made at least 24 hours in advance. Media boat available for start of the race, requests must be made no later than May 24, limited space available. Boats will be docked at Charleston City Marina in advance of the race, if interested in pre-event coverage, please schedule. The Atlantic Cup is a 3-stage, double-handed offshore race that spans the eastern seaboard of the United States. 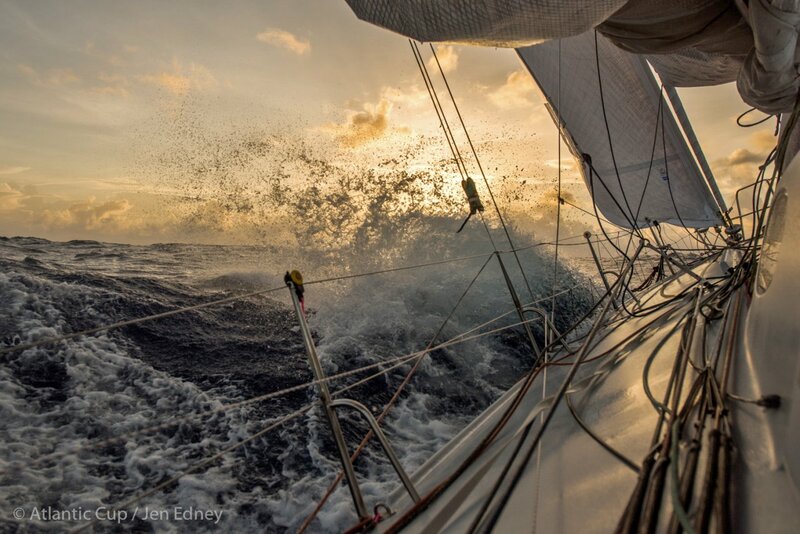 At 1,008 nautical miles it is the longest offshore race in the Western Atlantic. In addition, the Atlantic Cup is the only race to include rounding both Cape Hatteras and Cape Cod. The Atlantic Cup was created and is owned by Manuka Sports Event Management. It started in 2011 as a concept event and grew to a multi-stage race. Since its inception, the Atlantic Cup has been the most environmentally responsible sailing race in the United States and it is the first sports event in the U.S. to be ISO 20121 compliant. The race is sailed solely in Class40s, a monohull race boat designed for shorthanded racing. The Atlantic Cup ran annually in May from 2011 through 2014. After 2014, the race moved to a biennial event. As of 2016, the Atlantic Cup’s stop-overs include Charleston, S.C., New York City, N.Y. and Portland, Maine. For more on the Atlantic Cup, visit AtlanticCup.org. For print quality images, please click HERE.